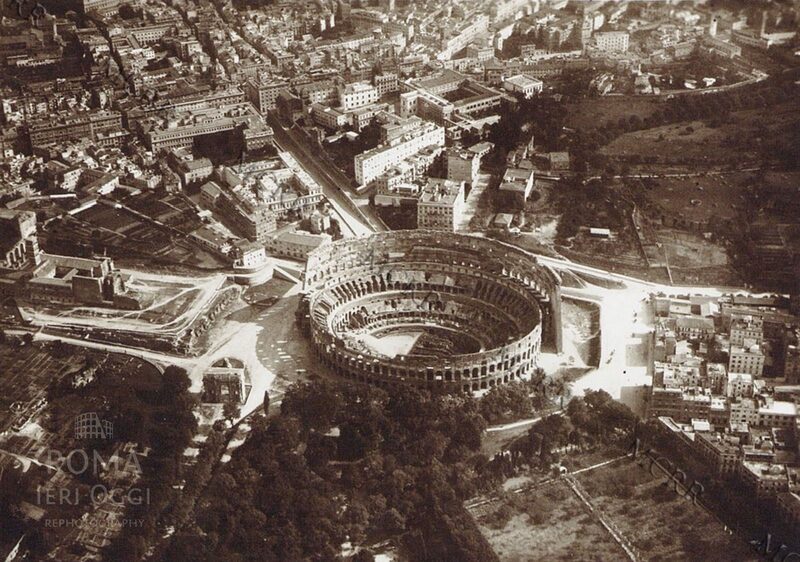 Roma Ieri Oggi has posted a set of aerial photographs of Rome, made in 1918. They are here. And they are quite marvellous, and high resolution. 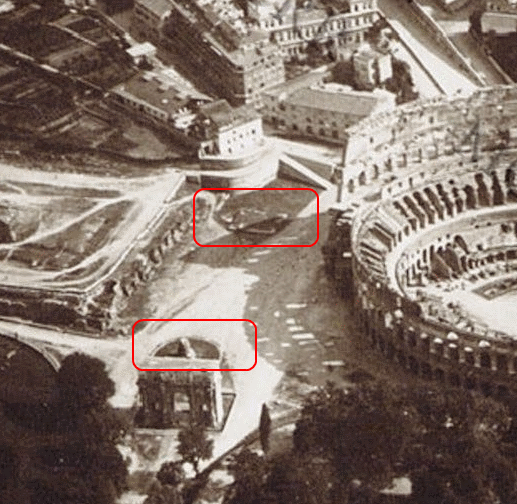 Note the area where today runs the Via del foro imperiali – mainly farmland on the Velian hill. But also note the base of the Colossus of Nero! And I’ve highlighted also what we can see of the tip of the Meta Sudans. I have no idea where the site owner gets his stuff. But it’s stuff that we all want to see!